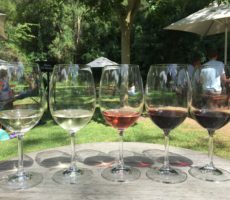 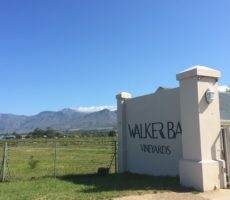 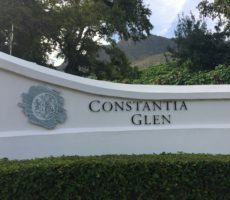 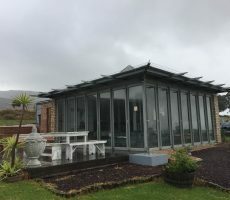 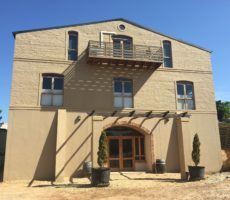 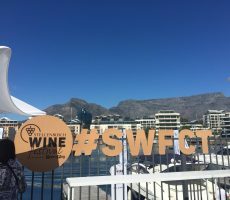 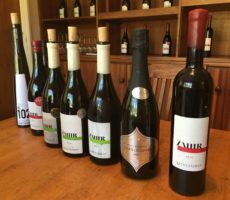 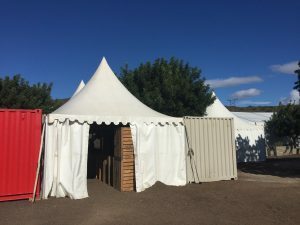 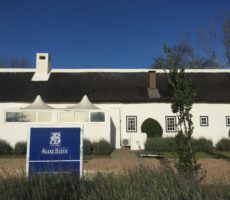 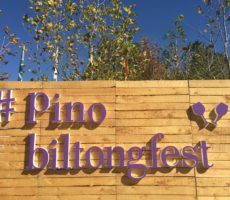 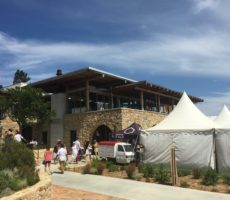 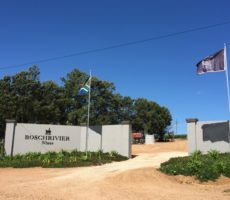 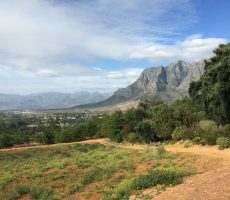 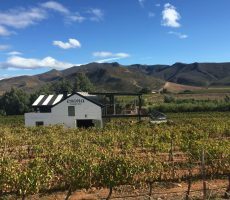 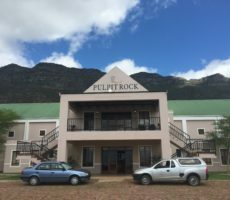 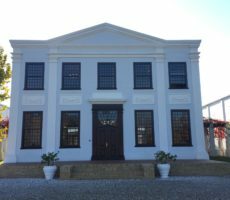 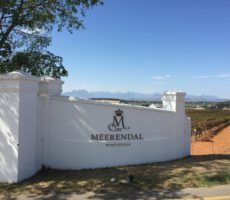 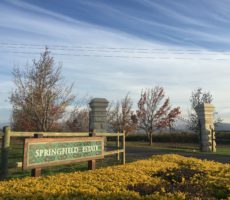 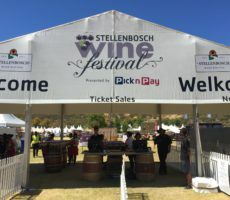 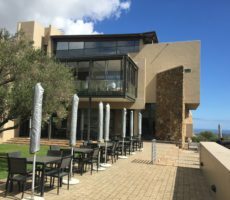 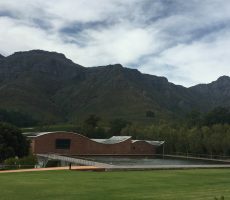 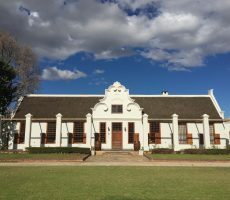 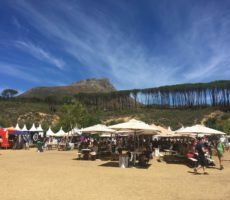 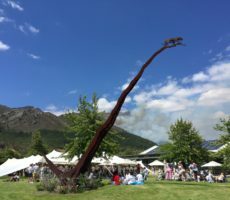 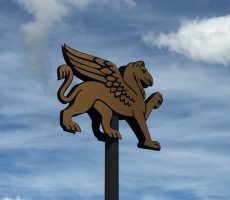 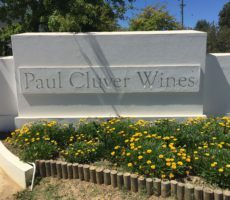 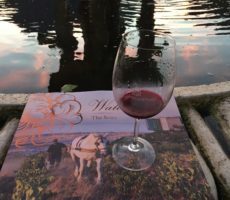 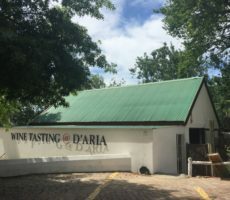 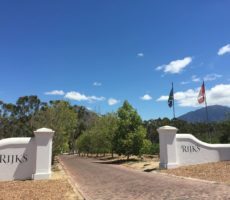 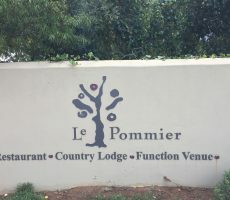 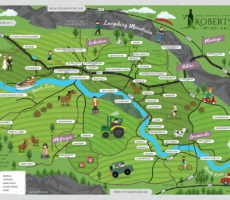 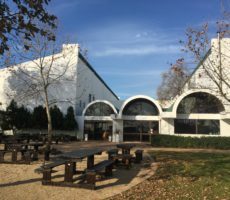 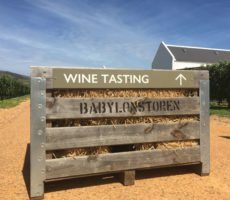 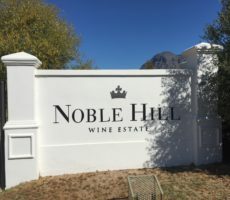 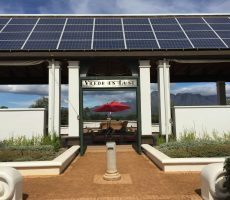 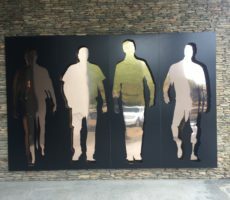 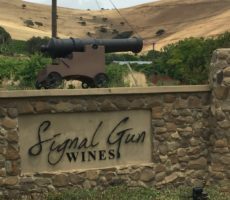 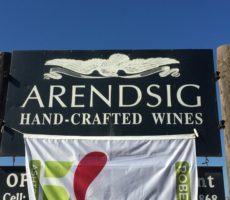 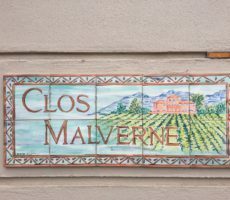 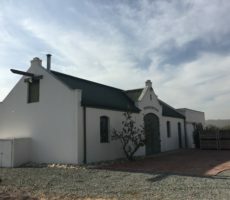 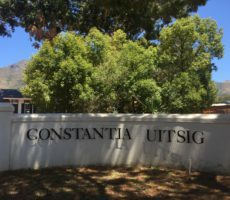 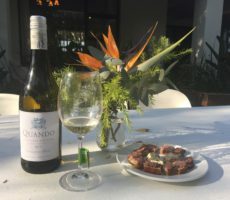 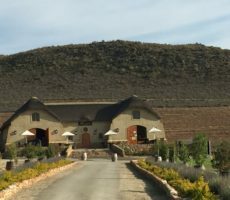 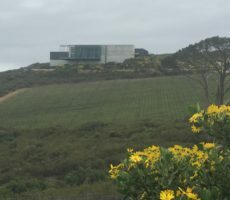 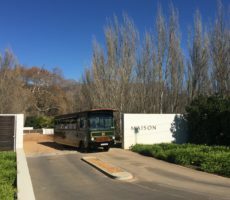 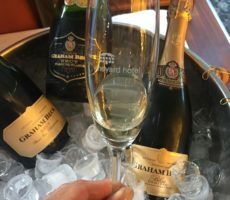 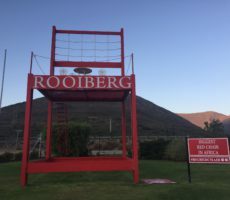 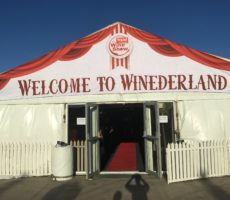 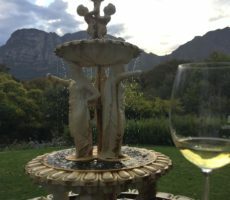 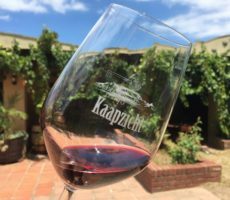 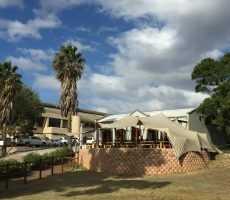 I visited 12 wine estates at the Wacky Wine Weekend last year and so I decided this year to visit some of the many, remaining wine farms that I had not been to before. 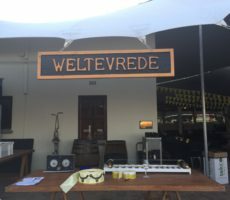 I had already visited Rietvallei and Esona this morning. 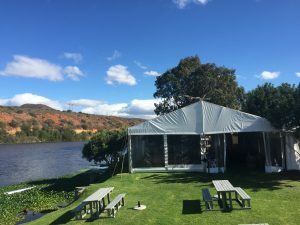 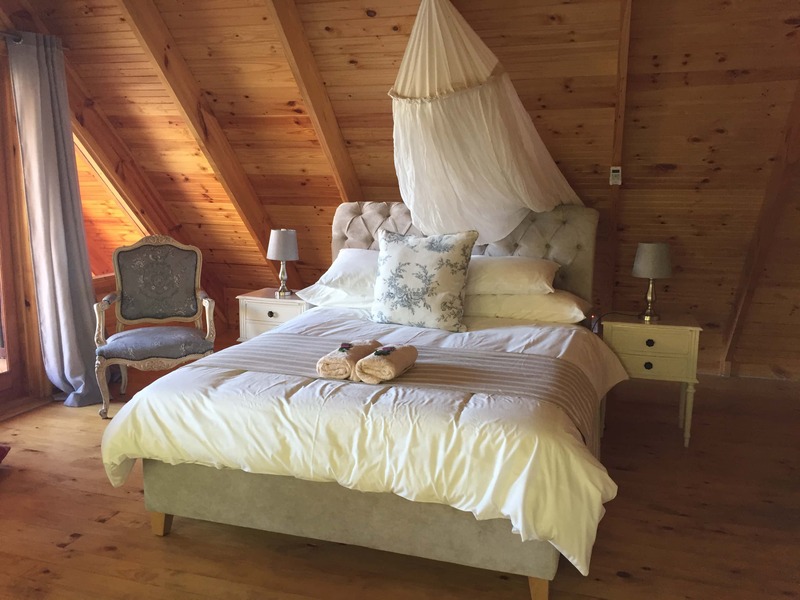 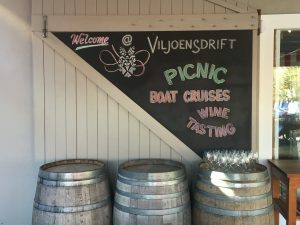 Esona was close to the Breede River but Viljoensdrift goes one better. 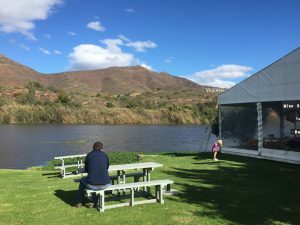 The riverside location makes it very popular with festival-goers and so I decided to go before the crowds arrived. 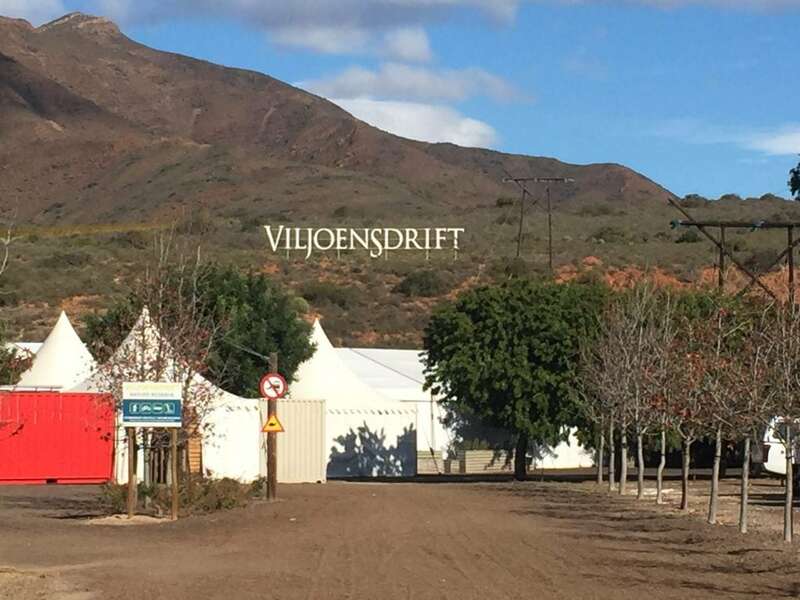 The bold entrance pillars made it easy to find Viljoensdrift. 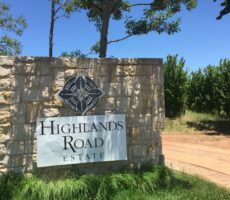 The straight gravel road to the Tasting Room and cellar buildings passed between rows of straggly golden vines, long since harvested. 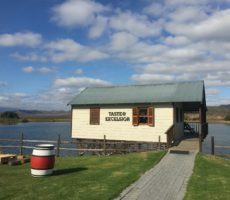 As the buildings in the distance came ever closer, part shrouded by marquées ready for the expected influx of visitors, I could see the farm name set out in big white letters – in brand font style – on the hill beyond on the opposite side of the river. 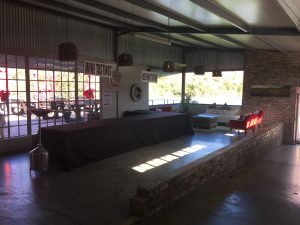 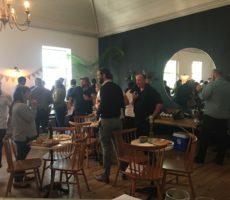 There was an air of expectant calm as I entered the Tasting Room with extra seating outside facing the river. 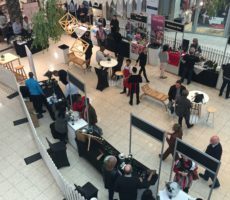 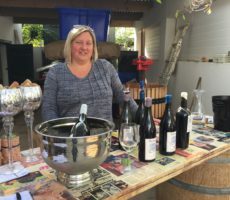 I sensed that it would not last for long, for today and let alone the weekend that is the busiest time for Wacky Wine, as I introduced myself to Melissa who was my pouring host. 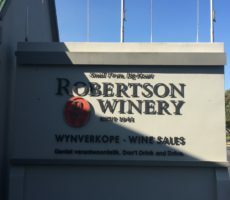 She insisted I taste all wines and far beyond the permitted 6 that the Wacky Wine vouchers allow for. 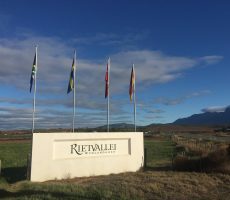 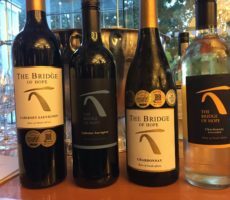 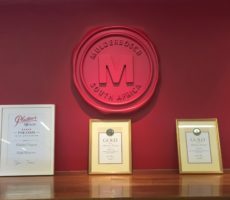 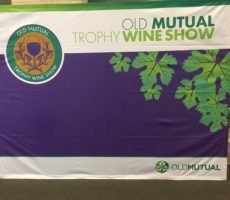 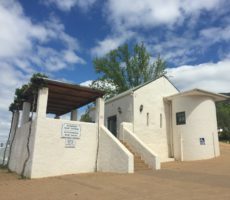 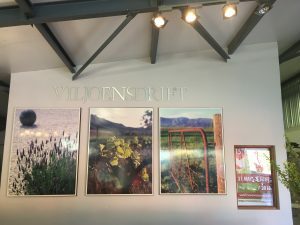 The Viljoensdrift wines are grouped into 3 ranges: the Viljoensdrift Range, the aptly-named River Grandeur Range; and the Cellarmaster’s Selection. 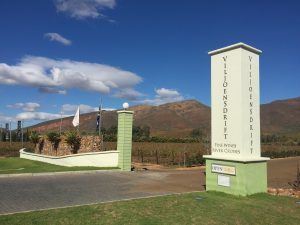 Viljoensdrift has a long history as a bulk wine producer but has since 1998 made wines under its own label. 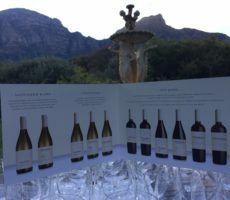 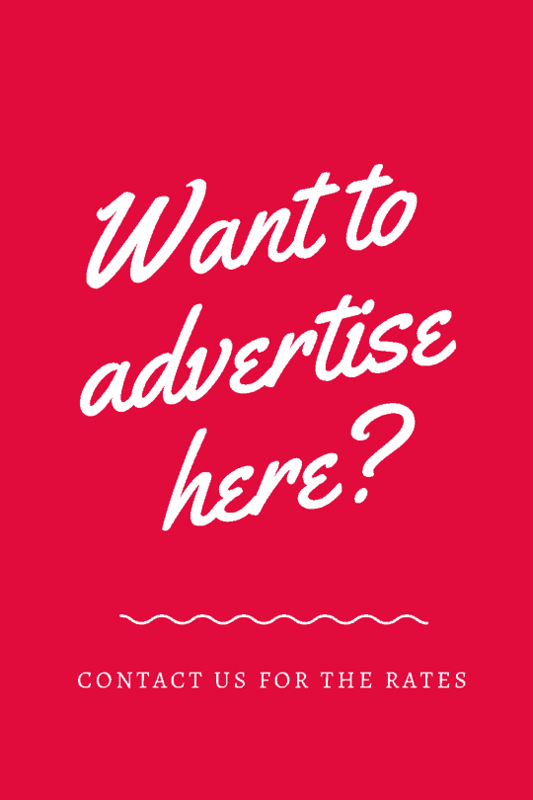 The origins remain with prices that range from R40 to R130 per bottle. 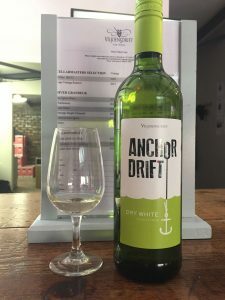 I began with the basic white, the Anchor’s Drift, which showed simple green grassy complexity on the nose and a clean mouthfeel with a little extra weight provided by the Sémillon. 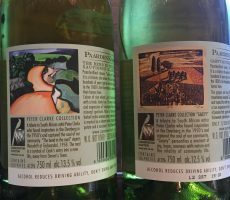 The ‘Crispy’ Sauvignon Blanc, with distinct label, was very pale almost to the point of being colourless. 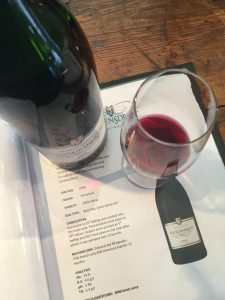 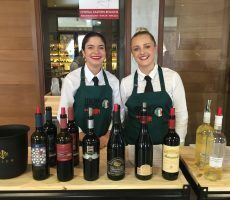 The complexity of aromas was better – green herbaceous, citrus and gooseberry – with a clean mouthfeel and the edge taken off high acidity to make for easy drinking. 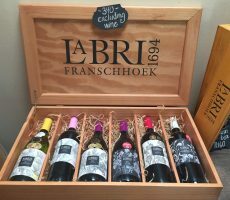 My favourite wine of the tasting was the Chardonnay made using wood staves for 6 months and 3 months of lees contact. 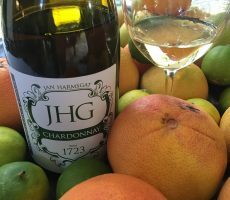 Lemon, yellow apple and vanilla notes gave way to a creamy mouthfeel on the palate that was acid-forwards giving way to fruit flavours beneath of medium length. 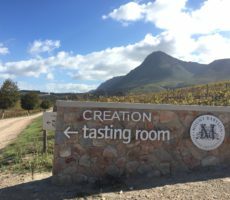 Chardonnay was also used to make the MCC that was bottle fermented for 6 years and spent 9 months on the lees. 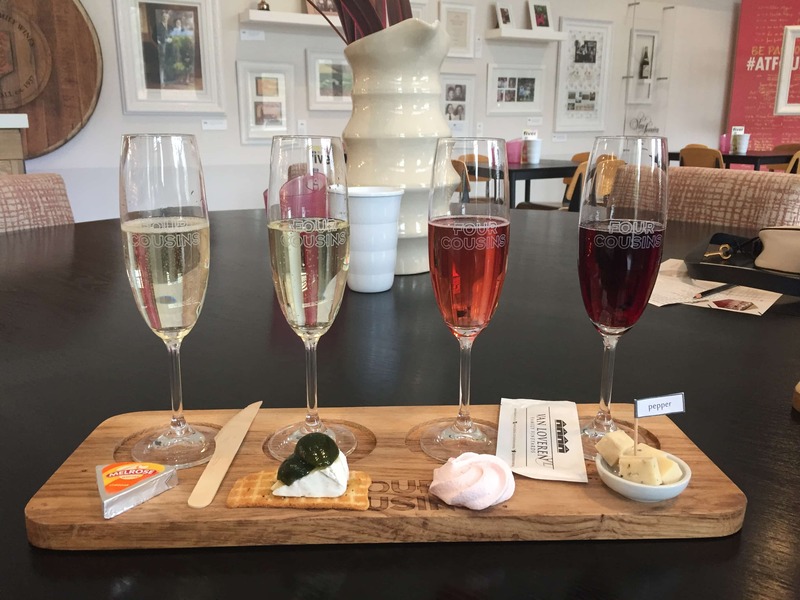 The bubbles in the glass were minimal and disappeared almost immediately on pouring. 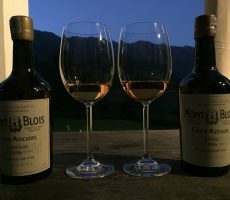 They re-emerged on the palate for a moussante mouthfeel. 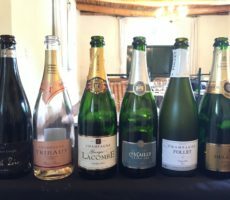 Warm apple and toffee flavours had an oxidised feel to them but didn’t last long on the palate. 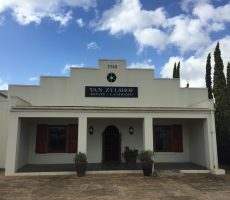 The Viljoen family have been making wine since 1818 when vines were first planted. 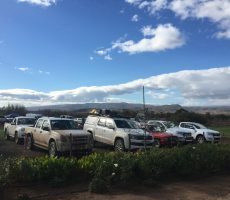 Fifth generation brothers Fred and Manie manage the farm today. 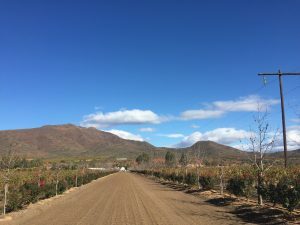 As so often happens in wine families, one son is the viticulturalist (Manie, who also manages the deciduous fruit) whilst the other (Fred) is the winemaker. 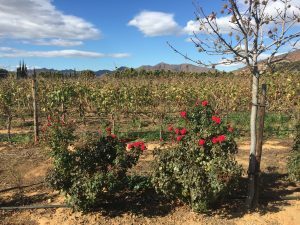 The rich alluvial calciferous soils grow 120 hectares of vines on the 240 hectare property. 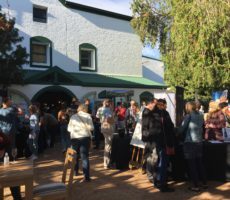 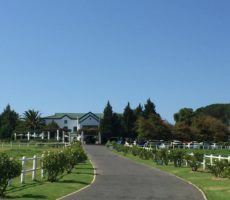 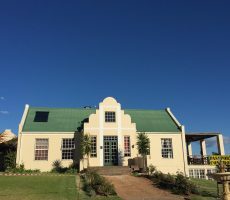 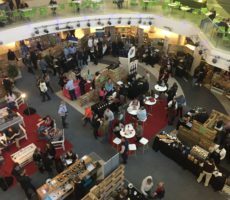 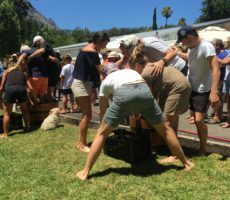 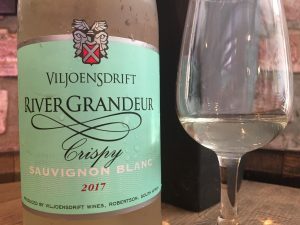 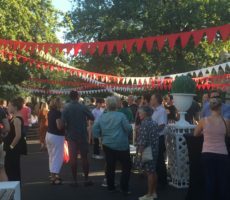 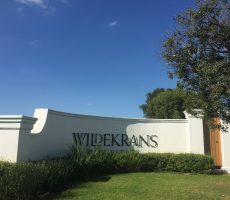 Viljoensdrift focuses on the most common varieties – Sauvignon Blanc, Chardonnay, Merlot, Pinotage, Cabernet Sauvignon and Shiraz – for their wines, of which 55% are red, 40% white, 4% rosé and 1% Cape port. 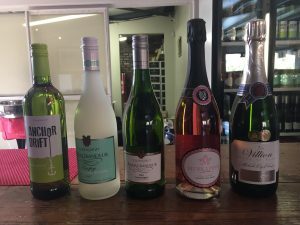 I turned to the sparkling rosé next. 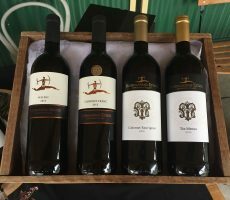 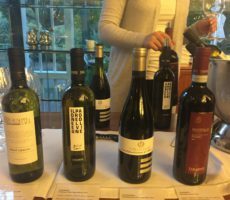 Named the Muskapino from the Muscat and Pinotage from which it is made, the wine had all that was needed to be a crowd pleaser. 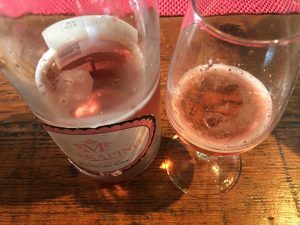 It was sure to be popular on sunny river trips: masses of bubbles; pale pink in colour; candy sweet strawberries on the nose; very sweet on the palate; and low alcohol at 6.5%. 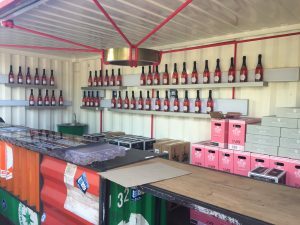 I have tasted beers with a higher amount of alcohol. 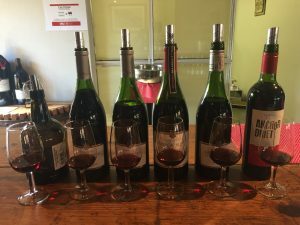 The first red wine I tasted was the Anchor Red that was made from Pinotage. 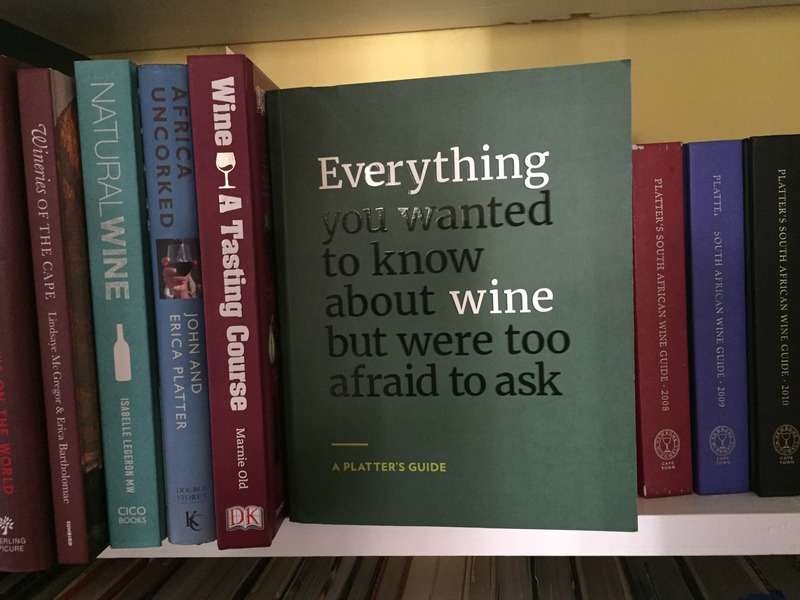 It was my least favourite wine, being a pale ruby colour with indistinct ripe fruits on the nose and unbalanced dry oak, oak, oak on the palate (65% new French oak, 35% American 2nd fill). 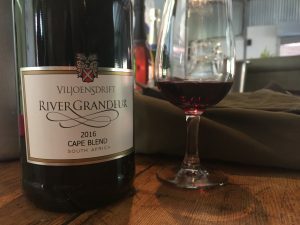 The Cape Blend from the River Grandeur Range was much better. 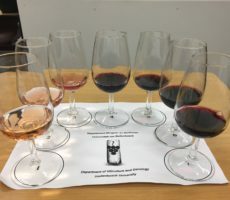 The complexity was still limited and 1-dimensional but there was an added spiciness to the fruits. 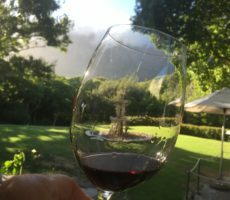 The Pinotage flavours balanced the oak far easier on the palate. 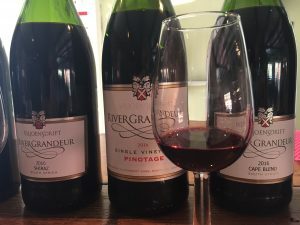 The Single Vineyard Pinotage, the most expensive table wine of the tasting (R120), was very young and poor. 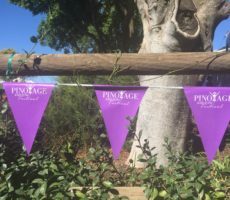 I am not a fan of the banana and acetone aroma profile which, for this Pinotage, swamped any fruity notes. 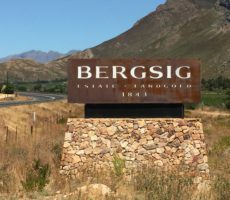 The palate was acidic and dry with coarse and very grippy tannins. 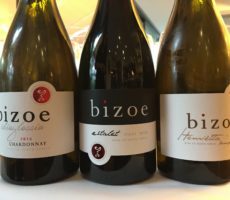 I did not like the Shiraz much either. 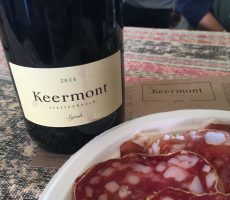 The body was surprisingly light for a Shiraz and had a similar chemical taint to the Pinotage (so much so that I asked for a clean glass). 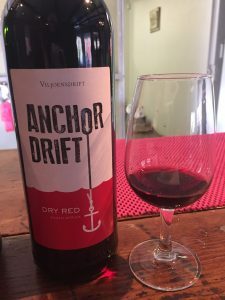 The wine showed more fruits and spice on the palate but was nonetheless dry and very oaky (matured for 12 months in 75% French/25% American 2nd/3rd fill oak barrels). 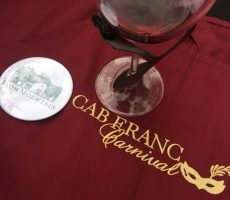 I rated the Cabernet Sauvignon much the same. 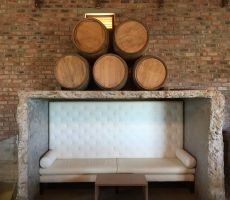 It was made in like style and also matured for 12 months in a mix of French/American oak (60%/40%, respectively, in new barrels). 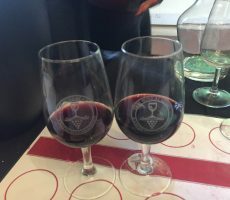 The wine showed a limited complexity of red and dark fruits on the nose and even less complexity on the dry, grippy and tannin palate. 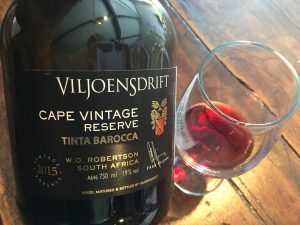 The last wine of the tasting was a Cape Vintage dessert wine made from Tinta Barocca. 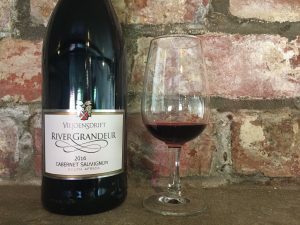 This had been aged for 30 months in old French barrels and fortified to 19% alcohol. 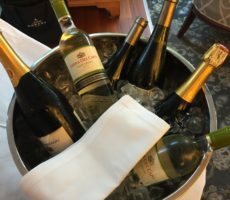 The wine was pale and light in body. 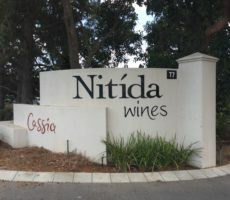 The extra alcohol showed on the nose which had a similar chemical and oxidised character to the other red wines. 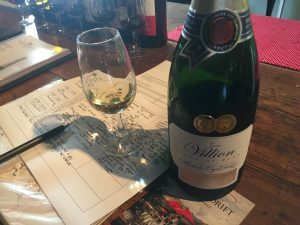 It was semi-sweet on the palate with a warming affect due to the higher alcohol. 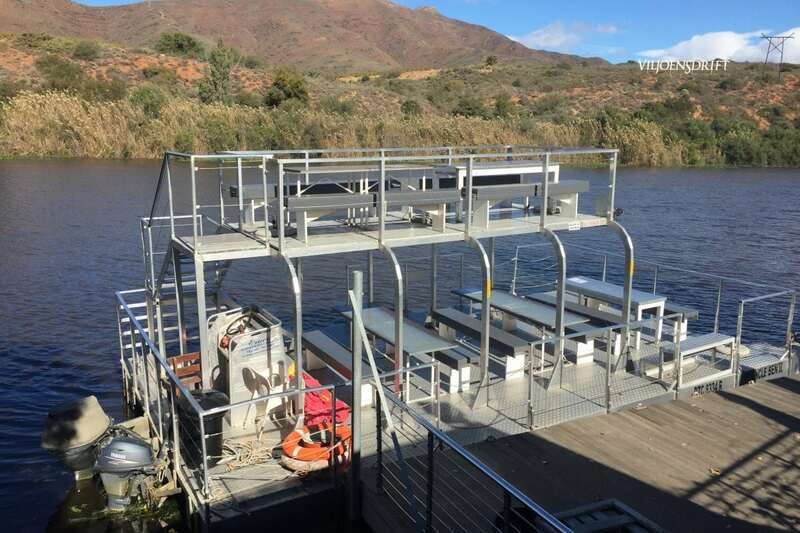 I didn’t go for a river cruise and shall leave that for another time. 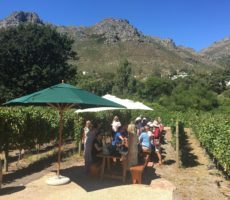 The 50-minute trip on board the flat-bottomed Ben 2 boat certainly tempted in the sunshine but I wanted to taste at some more estates before the end of the day. 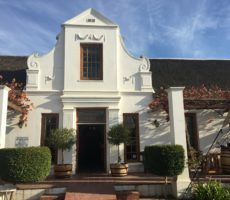 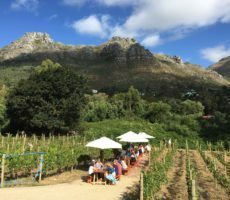 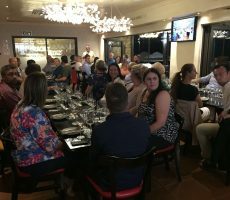 The R80 fare, including wine tasting, is excellent value for money and, as Melissa commented, long enough ‘for at least a bottle of wine’.